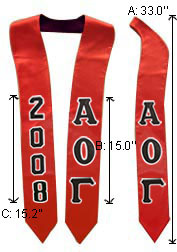 Custom Graduation Stoles – Manufacturer of Printed & Embroidered Custom Graduation Stoles. 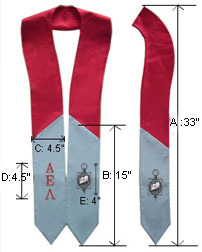 Graduation, Greek, Honor, Sorority, Alpha, Fraternity, Clergy & Custom Made. Old customers please scroll down to contact us for repeat orders. Get a Quick Quote in 3 Easy Steps! 1. 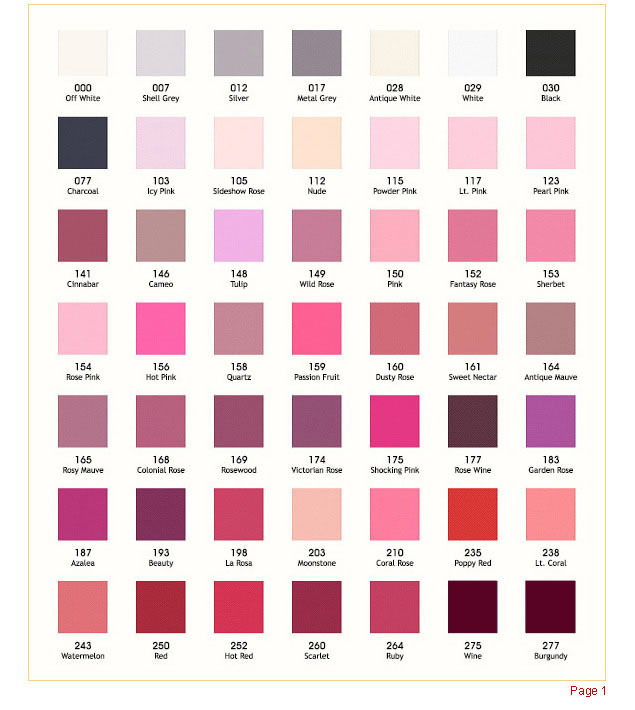 Choose Your Base Stole Type. 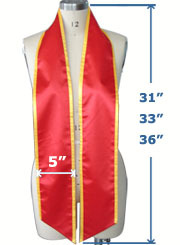 "graduation stoles" and "graduation sashes" are exactly the same. If you are dissatisfied with your stoles, for any reason due to our negligence, and report it to us within 48 hours of receipt, then we will make all efforts to remedy the situation by replacement or if that is not possible, by refunding you in full. 3. Get a 'Quick Quote' now! Print & Embroidery Cost Explained. 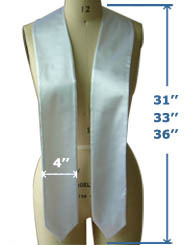 Costing Examples for Embroidered Stoles. Claim 3% discount discount on any order by stating "Early Order Discount 3%" when placing your order & making payment at least 30 days before your required delivery date. Claim 5% discount discount on any order by stating "Early Order Discount 5%" when placing your order & making payment at least 50 days before your required delivery date. Claim 7% discount discount on any order by stating "Early Order Discount 7%" when placing your order & making payment at least 90 days before your required delivery date. 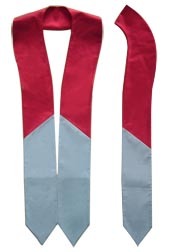 Plain Blank Stoles Without Embroidery or Print. 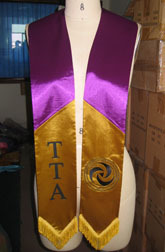 Please visit our page dedicated to plain blank graduation stoles. Generally we can fulfill orders of standard, luxury or deluxe range stoles including printed or embroidered personalization within 7 working days from receipt of your order deposit payment. If you need faster delivery then please ask us, we can often oblige. Free UPS Delivery! – Method & Time. Any quotation from us includes door to door delivery by UPS, which is also included in the pricing and costing examples above. Your order will be shipped out directly to you from our own facilities via UPS courier. Transportation time takes 3 days or 2 days premium express. 50% Deposit / 50% Balance after seeing detailed pictures of your finished consignment. We accept telegraphic (wire) transfer payment to our bank. For small wholesale orders we can accept payment by credit card or PayPal through the highly secure PayPal web and will send you an invoice via the PayPal system with instructions for payment included. If you need to pay by check or PO then please visit www.GraduationStoles.net. 1). 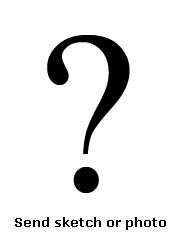 Use the form at the bottom of the page to Get a Quick Quote. 2). 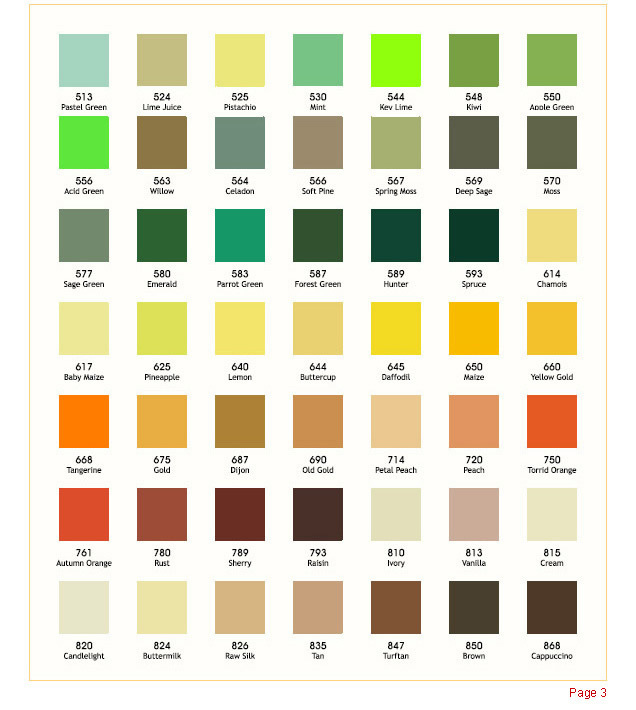 We will then provide free, no obligation, CAD artwork for your approval. 3). After your deposit is received we make free digitization & start production. 4). When production is completed we supply a full set of inspection photographs. 5). Upon your satisfaction of the production photographs, the balance 50% payment is due. 6). Your consignment is then shipped to your door by UPS expedited delivery. Free CAD Artwork - No Obligation. 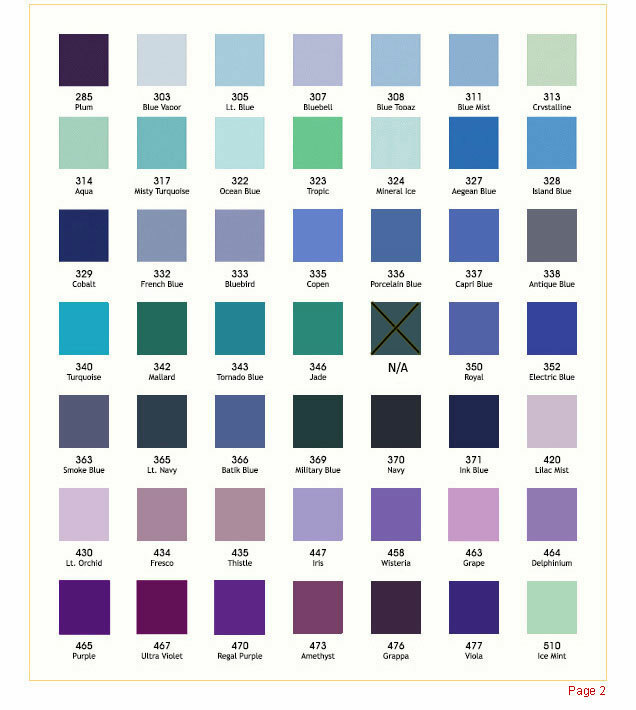 After you confirm our quotation we will request any remaining information needed to produce the CAD artwork of what your final stoles will look like, then send the artwork to you for final approval before order confirmation and deposit payment. Before deposit payment, you are under no obligation to purchase and we are happy to serve you freely.